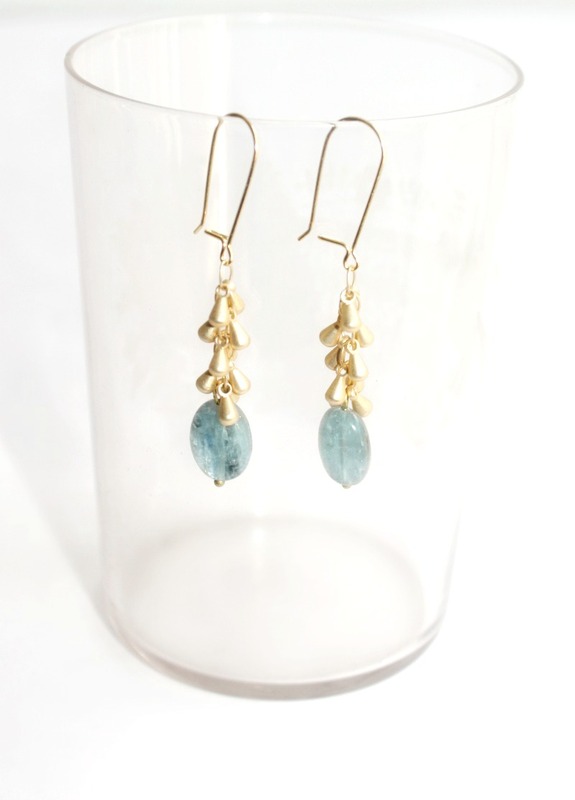 To celebrate the opulence of every day and special days, thoughtfully created jewelry by artist Georgia Hecht for FrenchGardenHouse. Either a bespoke piece is hand designed, a one-of-a-kind creation using antique and vintage heirloom elements with a history and a unique treasured past, or very limited edition specially commissioned. 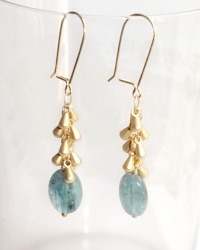 The Catherine Earrings have a gilded waterfall in the form of teardrops on the top, the semi-precious blue aventurine stones have a silvery glimmer. An exquisite addition to your every day with jeans and a white shirt, or for evening with a chic dress. The earwires are gold filled. Elegant! Sure to be a favorite in your collection.